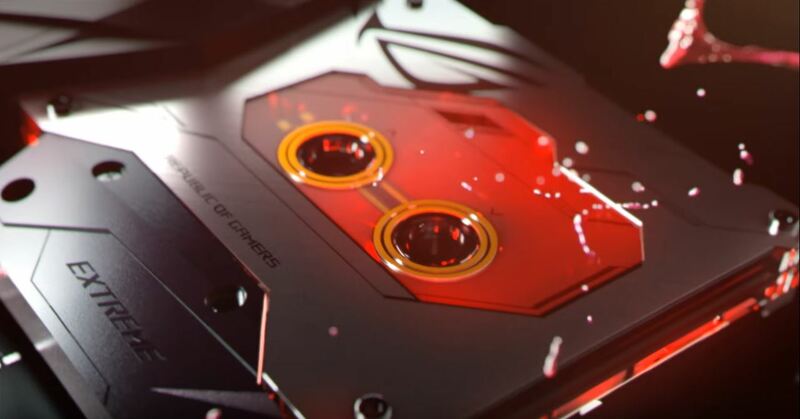 Leaked at the start of this year, but ASUS today announced the launch of Asus ROG Maximus IX Extreme, the company’s top-of-the-range gaming motherboard based on the Intel Z270 chipset. Both LGA 1151 socket and VRM area covered with a water block signed by Bitspower. This water block is attached to another small Heatsink that hides a M.2 slot to dissipate the heat of the SSD M.2. According to the company, it will reduce its temperature slightly more than 40ºC. This water block hides VRM, but we can expect a very generous amount of it, as we can see that the motherboard has two EPS connectors of 8 + 4 pins to power the CPU. In addition, the new motherboard has four DDR4 DIMMs that support up to 64 GB @ 4133 MHz (with OC), three PCI-Express 3.0 x16 (2x enhanced) slots, one PCIe 3.0 x1, eight SATA III 6.0 Gbps ports, and a second M.2 under the chipset heatsink, something that could favor to increase the temperature of this one. The information of the Asus ROG Maximus IX Extreme is completed with the SupremeFX S1120 sound system with a 113 dB SNR, two USB 3.1 ports (Type-C + Type-A, 6x USB 3.0, two video outputs in the form of HDMI 2.0 and DisplayPort, audio jacks feature LED lighting , includes WiFi 802.11ac + Bluetooth 4.1 connectivity, two additional Molex to power the board more power, Start buttons, Reset, switches to disable up to two PCIe slots X16 and, most notably in the ROG Maximus IX Extreme, a large number of 4-pin connectors to connect a large number of fans together with Aura Sync connectors (for LED strips / RGB fans). 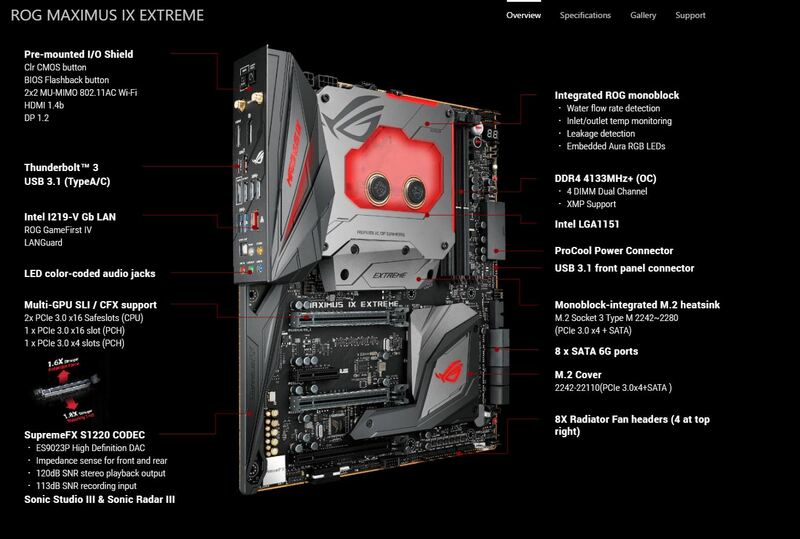 The ROG Maximum IX Extreme X270 will go on sale for $755.